I see your travels have landed you here to investigate indoor air quality issues. Indoor air quality in our homes is becoming one of the hottest topics when building a home, or updating your existing systems. Many of today's homes suffer from "Sick House Syndrome". What can we do to nurse them back to good health? These next pages will help us along the way to understand the illness, and put together a plan to cure our own homes. Your family's health may depend upon the actions you take now to provide better indoor air quality or, a less polluted home. The emergence of Radon permeation in homes, and bacterial and mold issues has got everyone wondering about how protected we truly are in our own homes! To quote the Environmental Protection Agency: "In the last several years, a growing body of scientific evidence has indicated that the air within homes and other buildings can be more seriously polluted than the outdoor air in even the largest and most industrialized cities. Other research indicates that people spend approximately 90% of their time indoors. Thus, for many people, the risks to health may be greater due to exposure to air pollution indoors than outdoors. 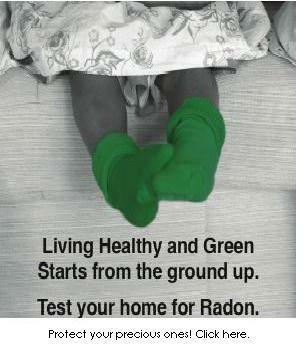 The ad above is provided as a public service to help protect our environment and public health. The EPA does not endorse this particular company nor any commercial service or enterprise. Here are some of the physical symptoms of over-exposure to indoor pollutants. Hmm! How did you and I survive without serious health issues, as we were growing up? The major reason seems to be the changes in building practices. As the years have passed, building codes, better building materials, and the desire for more highly energy efficient homes have produced tighter, more well sealed homes. The homes we grew up in were badly sealed. Better indoor air quality happened naturally. Fresh outdoor air snuck in everywhere. This high infiltration rate made for drafty, highly inefficient and hard to heat and cool homes. But, those home's indoor air was being replaced constantly. In the days of old, 4 complete air changes per hour were common, just by natural infiltration. Furnaces and air conditioners were naturally oversized to compensate for the higher infiltration rates. Today's home must, ultimately, be designed and built with the intentions of installing some sort of mechanically induced ventilation system to improve indoor air quality. Providing better ventilation is certainly a step in the right direction, but it is not a cure-all. We will discuss ventilation more extensively later on. Right now, let's look at some other types and sources of indoor air pollution. Most homes have more than just one source of indoor air pollution. Serious risk arises from the cumulative effects from a few to many indoor air pollutants. Tobacco products - smoking in the home. Asbestos containing insulation. Asbestos can also be found around and attached to old furnace and duct systems. It was often used to seal duct joints. It can be encapsulated if in good shape, but if deteriorating should be removed by a professional. Building components which were treated with formaldehyde. Combustion appliances. Any appliance which burns a fuel, if not adjusted and maintained properly can produce carbon monoxide. Carbon Monoxide can kill you before you even suspect it's presence in your home! Furniture and cabinetry made of some pressed wood products. The glues used in the manufacturing process can add to airborne pollution. Humidification systems. Must be adjusted properly to not create high humidity levels condusive to mold and bacterial growth. Must be maintained to ensure no water leaks. Household cleaning products - may release volatile organic compounds (VOC's). Your central heating and cooling system. Dust, moisture, mold spores, and bacteria can hide in here unseen, and become airborne each time the system blower comes on. Pet dander and hair degrades indoor air quality. Molds and mildew in bathrooms and under your kitchen sink. Airborne viruses transmitted by people and animals. Bacteria carried by people, animals, soil and plant debris. Feces from mice, rats, insects, and cockroaches may become airborne during cleaning procedures. Somes pollutants are released intermittently by activities of the occupants, such as paints, paint thinners and solvents used during remodeling. Always ventilate these areas well while these chemicals are in use. The use of cleaning products and pesticides during housecleaning, and smoking indoors, all add to the overall pollution present in a residence. Some other pollutants in the home are being released continuously from furnishings, building materials, and household products such as timed air fresheners. High concentrations of air pollutants, without ventilation or air cleaning of some sort, will remain in the air you breathe for long periods of time. Pollutants can, and will, accumulate to dangerous levels threatening health and comfort, if little or no outside air is introduced into the home. Therefore, homes which were built tight should be equipped with some mechanical method of introducing outside air into the home. Also, all homes and their occupants can benefit immensely from good air filtration. All forced-air furnaces or air handlers providing heating or cooling in a residence should have an integral filter. The standard 1" filter is certainly better than nothing, but barely. Today's filtration choices are limitless, and immensely improve indoor air quality. We will investigate some of these air cleaner/purifier choices further on. Suggested steps (or strategies) for improvement of your home's indoor air quality. Control the pollutant at it's source. Seal, encapsulate, or remove asbestos. Clean, vacuum regularly - preferably with non-VOC producing cleaners. Have your appliances adjusted properly by a professional. Have your air ducts cleaned regularly. Open your windows regularly to replace stale indoor air with fresh outdoor air, weather permitting. Wipe down countertops regularly with non-VOC producing anti-bacterial cleaners. Wash your bedding at least once per week. Do not overwater your houseplants. Make your husband help with all this cleaning, unless he's downstairs installing a new ventilation system! Install a good air cleaner on each of your comfort systems. (Indoor air quality begins with a good air cleaner) Visit our Air Filtration and Air Cleaner page. 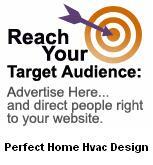 Install an Energy or a Heat Recovery Ventilator. Depending on the size of your residence, multiple units may be the ticket. Read more about Energy and Heat Recovery Ventilators. Install a whole house mechanical ventilation system. Read more and see ventilation system examples. Indoor Air Quality: How clean is the air in your home.